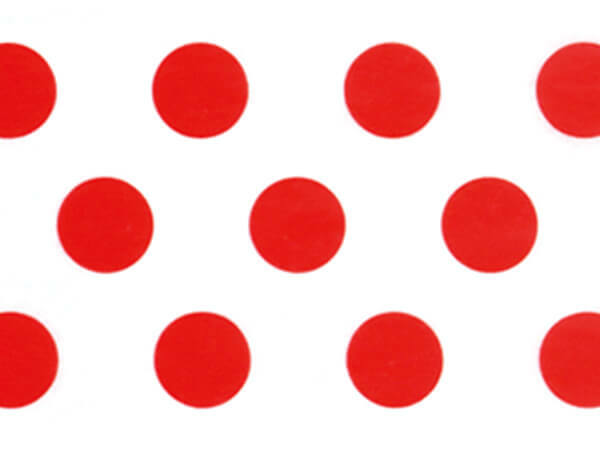 Bright Red Polka Dot tissue paper feature large red dots printed on white tissue paper. Fun look for Christmas, Valentine's Day, all occasion and birthday gifts. Tissue Paper by the 240 sheet bulk ream is printed on 100% recycled paper and part of our Green Way ® Eco Friendly Packaging. Made in the USA.